We are proud to be the exclusive distributors of the world’s first thermally broken steel window, door, and curtain wall system. Brombal is the only manufacturer who has experience working with thermally broken products since their inception and they have completed many successful projects. Ebe thermally broken sections are bonded together using two materials: the first is a fiberglass reinforced extrusion and the second is a high-density polyurethane resin injected under high pressure. This process firmly joins the frame sections together, ensures a continuous bond, and provides thermal insulation while maximizing structural strength. After years of intense research, the OS2 was born providing narrow sightline, thermally broken window and door systems. EBE Thermally Broken Windows and Doors are bonded together using two materials: the first is a fiberglass reinforced extrusion and the second is a high-density polyurethane resin injected under high pressure. This process firmly joins the frame sections together, ensures a continuous bond, and provides thermal insulation while maximizing structural strength. The high thermal efficiency of this product provides maximum U-values, and a triple neoprene gasket system provides excellent weathering resulting in the highest quality fenestration product available. EBE thermally broken windows and doors can be obtained in a variety of configurations and have excellent design flexibility with options like mechanical or welded corners, six glazing bead profiles, and true divided or simulated divided glazing available. Extremely durable – virtually no maintenance costs. 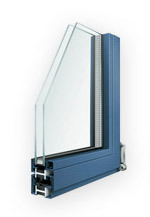 The Ebe series has 2 distinct frame sections, the Ebe 65 and 85 which allow for a maximum glass thickness of either 1-3/8″ or 2-1/8″, while maintaining the same slender sightline. This allows for the use of energy efficient triple pane glass while creating extremely large openings. No other steel product can span as wide or as tall as the Ebe 65 an 85. At Brombal, the attention to detail doesn’t stop at the fabrication of the units. 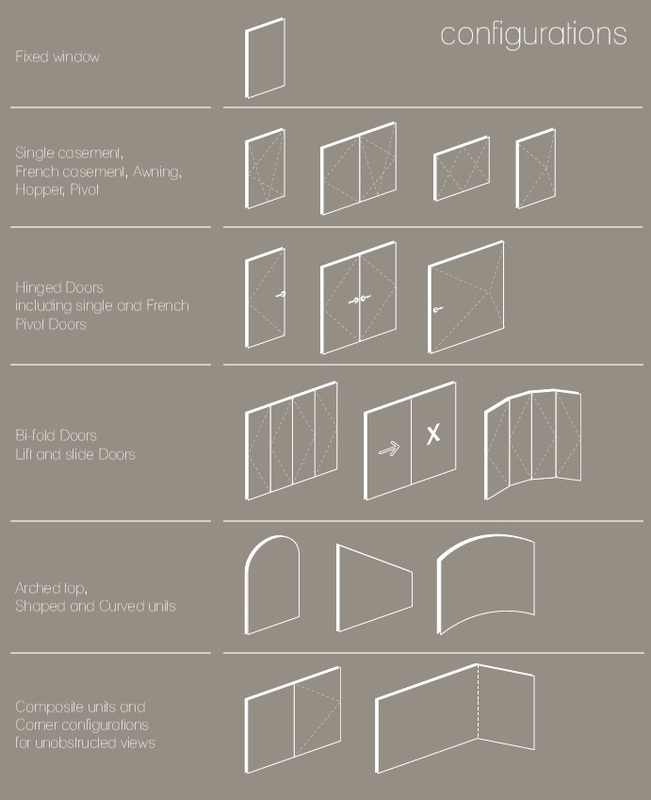 The hardware provides the details which complete the look and style of your windows and doors. We offer a variety of handles and style to choose from ranging from traditional to contemporary. See below for some of the options available. Please contact us for special hardware requests. We have the ability to replicate and remake custom hardware or utilize a specific hardware of your choice. Since all of our units are shipped without glass, it provides great flexibility for the selection of glass based on your specific needs. We work with the largest glass vendors in the country to provide the most energy efficient solution. Some of the vendors we work with are PPG, Cardinal, and others.